Looking up at the Kyle Field student section is already intimidating for a visiting team. Looking up at a sea of maroon surrounding you on all sides is that much more unnerving. Meanwhile our boys look up at the trusty 12th Man, unified in Maroon, and they know they can count on us when they need us most. Maroon Out started for this very reason. A&M was hosting #2 Nebraska. The reigning national champions with a 19 game winning streak when they arrived at Kyle Field. The Aggies needed a miracle to win, and a miracle they got. Motivated by tens of thousands of Aggies in the stands wearing maroon and waving white, the Aggies slayed the Nebraska giant, 28 to 21. Just over half of all Maroon Out proceeds go toward each class’ class gift accounts. As each class’ time in Aggieland draws to a close, they vote on a gift. This gift will be left on campus as the legacy of each class, a token for future Aggies to remember the class by, and an enduring legacy of the positive impact that class had on Texas A&M. Past class gifts include the seal in the Academic building, statues like E. King Gill, endowed scholarships, campus improvements like renovations of the h20 fountain and Flag Room piano, and much more. Class Councils Aggie Rings for Veterans fund and its committee of students is proud to raise money to help student veterans get their rings. Thousands of veterans come to Texas A&M after their service to our country. Far too many can’t proudly turn their Aggie Ring when they graduate simply because it was too expensive for them to purchase. Aggie Rings for Veterans thinks no veteran should ever leave Texas A&M without their Aggie Ring. Maroon Out is proud to support Aggie Rings for Veterans operating budget, and to be hosting donations to help all Aggie Veterans get their Aggie Ring. 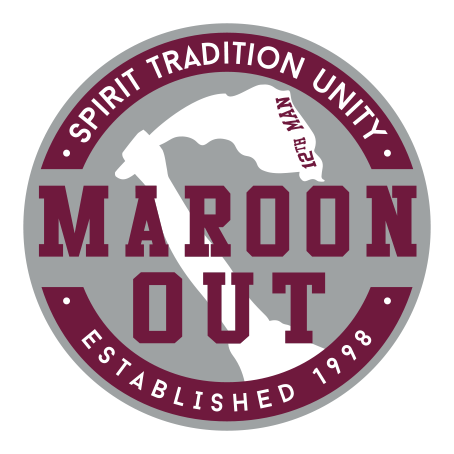 Funds from Maroon Out are the main way our parent organization, Class Councils, is able to host and grow our many cherished traditions. Maroon Out helps fund Ring Dance, Elephant Walk, Junior E-Walk, Pull-Out Day and Fish Fest. 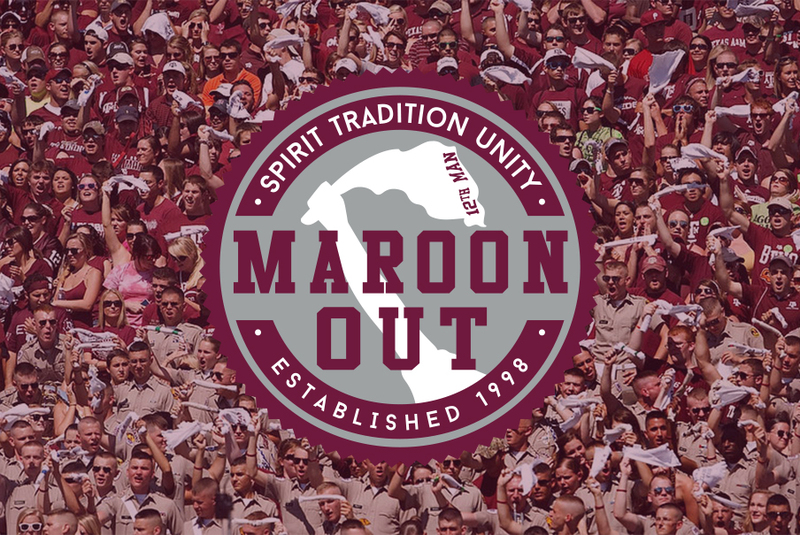 Every Maroon Out shirt you buy helps us put on these incredible traditions. Over the past 10 years Maroon Out has raised over $150,000 and given out more than 40 scholarships to deserving Aggies. We believe that an Aggie free from financial worry is able to love and support Texas A&M even more, and is able to pay it forward for the next generation of Fightin’ Texas Aggies.